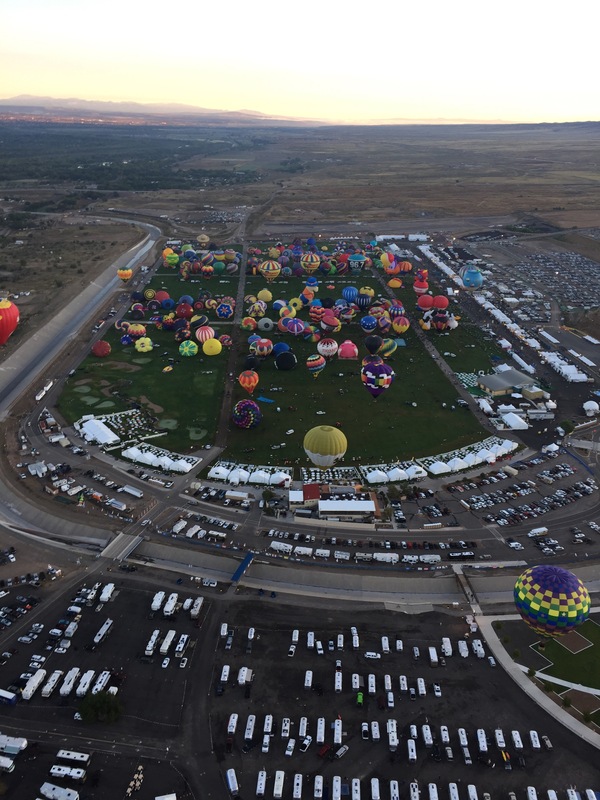 Day 4 of the 2015 Albequerque Internarional Balloon Fiesta showed good completion and a fun flight. As the sun rise over the mountain the blue Albequerque sky was visible, the overcast skies of the last three days were gone. The winds were out of the north a little stronger than the days before and the box was working. The fiesta balloons were all in the air by 8 and competition started at 8am sharp. By 9:30 many balloons crossed the river while others landed on the field. Another beautiful Albequerque morning in the books. Check out our pics and like us on TJV Balloons. 2015 Balloon Fiesta Day 5.